Turkey Ruff Feather Boa Two-Tone Heavyweight. 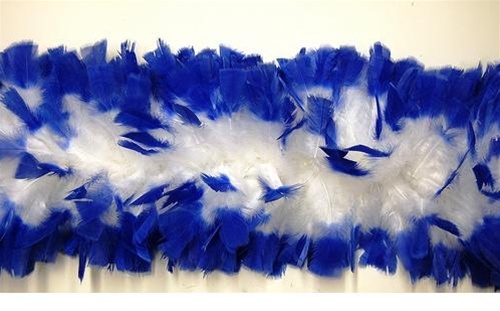 Each feather on this boa has the tip of the feather different then the inside of the feather.Very popular for Circus, Theatrical, Carnival, Mardi Gras, Costumes, Halloween, Party Favours,and many other functions. Could be cut . Each Feather Boa comes in standard TWO YARD PIECE. Feather size 5-5 1/2" or 5 1/2-6" .